Hi everybody! 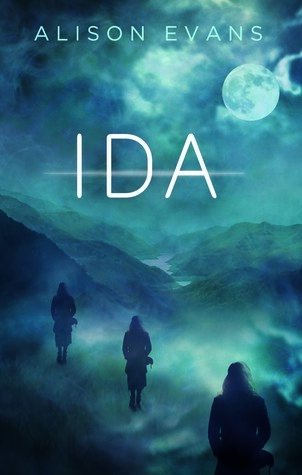 Today I'm reviewing a novel I finished a few days ago - Ida by Alison Evans! 'Ida' is an intelligent, diverse and entertaining novel that explores love, loss and longing, and speaks to the condition of an array of overwhelming, and often illusory, choices. 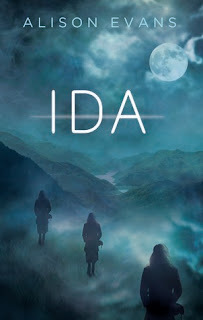 I'll admit, at the beginning I struggled to get into the story and had to read the first few pages multiple times, however as time went on and the plot thickened, Ida ended up being an entertaining novel! One of the best things about Alison Evan's book is the diversity! The protagonist, Ida, is biracial and bisexual, and is in a relationship with Daisy, who is genderqueer. Something that did take some getting used to, was that Daisy used 'they/them' pronouns, which was different but awesome! As well as this, another integral point of view in this story called Damaris and their seemingly love-interest, are genderfluid. Furthermore, Ida's cousin, Frank is a transgender boy. SO much diversity, it's wonderful! Unfortunately, there isn't a lot of representation in books for people of different backgrounds and sexualities. I mean, I have read very few books with these themes (which I need to change! ), so I was a little surprised to see terms such as 'genderfluid' in a book that I was reading. However, it was incredibly refreshing to read about these diverse characters, as I gained another perspective on the lives of the people in the world today. The plot itself was very interesting. I've always loved stories about time travel and parallel universes, so I was so excited to read this book! However, at the start many things were happening without much explanation and Ida's 'power' was difficult to wrap my head around, although as the story progressed things started to become clearer as Evans used certain trigger words or phrases to show when Ida was moving through the parallel universes. Also, Ida is set in Melbourne - my hometown - and I adored the familiarity as I knew so many of the areas that Evans spoke about (e.g. Flinders Street Station). Thanks to the setting, I found many aspects of the novel relatable! As I continued to read the story, it was riveting to watch Ida's life unravel as she tried to solve the mystery of her power and the dopplegangers that exist in the parallel universes. There were certain moments throughout the book that kept me on the edge of my seat and up at night. Every time Ida got close to solving her problems, she was taken away and had to go back to square one, which did leave me frustrated, but also wanting more. As compelling as the storyline was, there were a few questions that were still unanswered once I finished Ida. For example, I would've loved to hear more about what was going on in Daisy's family (the problems were only hinted at) or more about Damaris' job and what had happened between Damaris and Adrastos. There were a couple of loose storyline threads that Evans didn't tie up and bring full circle, which meant that Ida didn't leave me feeling as fulfilled as I should have. Ida is great in so many ways - it has so much diversity, romance, time travel and parallel universes. I had a couple of issues with the novel, which mainly revolved around the fact that I wanted MORE storytelling from the great author that is, Alison Evans. Unfortunately I can't make it (school night), but if you can, you should definitely support Alison by going to her launch! - It's FREE and no booking is required! Ida is already being talked about within the Australian book community and I know it's going to be a very popular 2017 release! Please, go read it! Thanks for reading my latest addition here on Tyra's Bookshelf! Have you heard of/read this book? Have you met an author before?